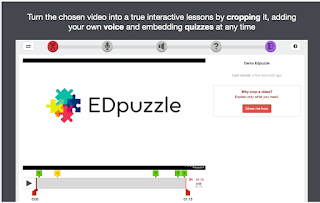 A few days ago we featured a collection of some of the best web tools teachers can use to create non-traditional quizzes and today we are sharing another collection but this time for creating video quizzes. 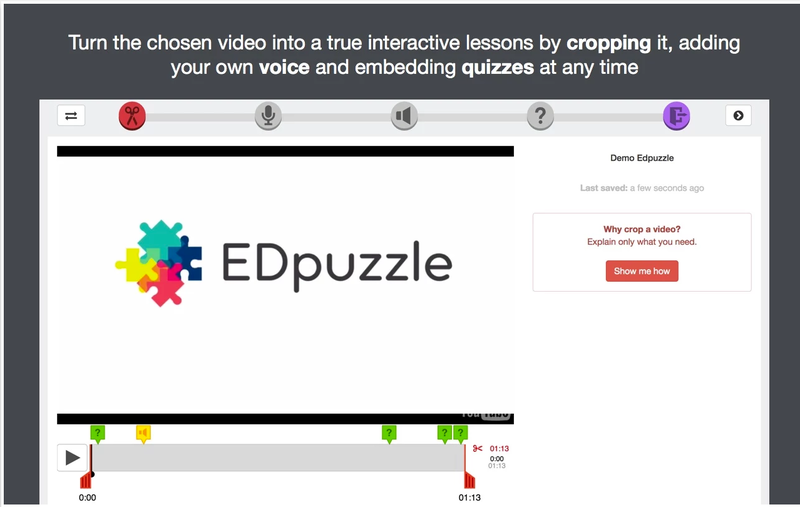 These are tools you can use to design quizzes based on selected video content. 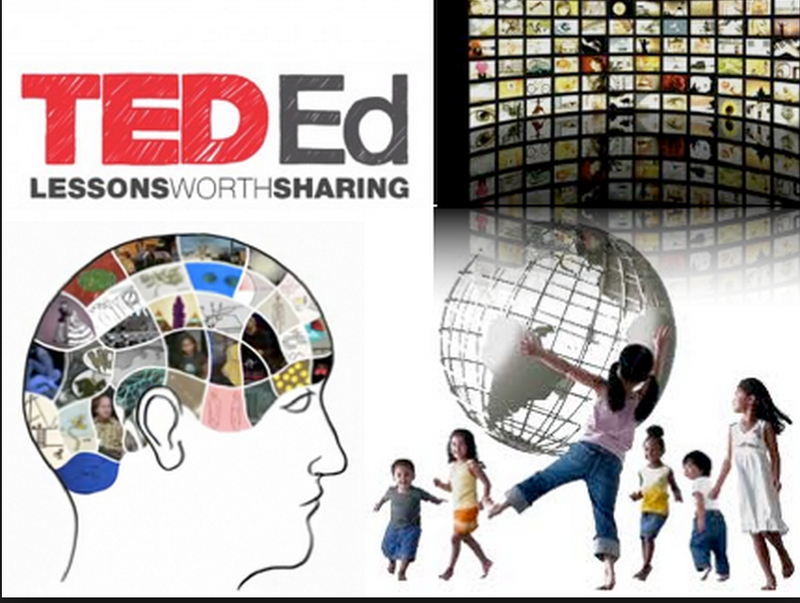 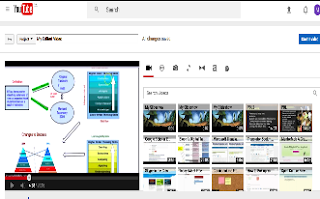 They allow you to import video clips, add a variety of interactive features to them (e,g different question types, comments, notes, links etc) and share them with your students. 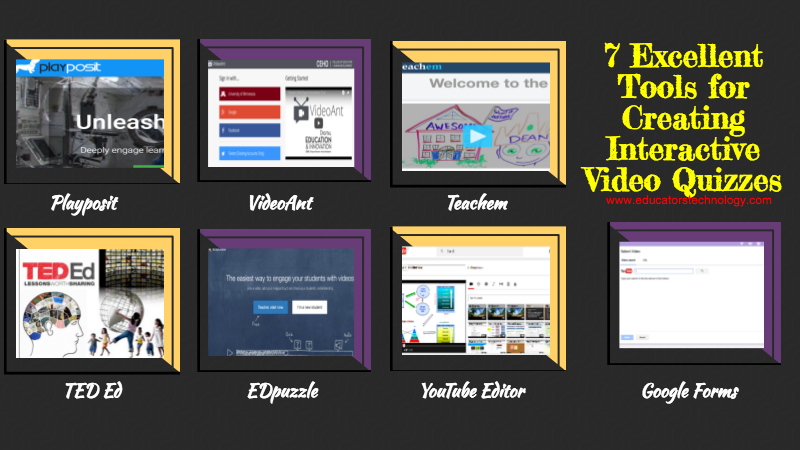 Some of these tools include the option to track student progress and access stats on how students are interacting with your video quizzes. Share with us in our Facebook page if you have other suggestions to add to the list. 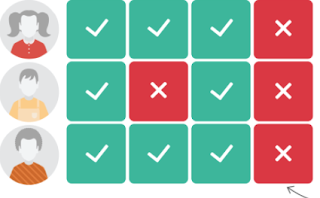 This is one of our favourite tools for creating all sorts of quizzes. 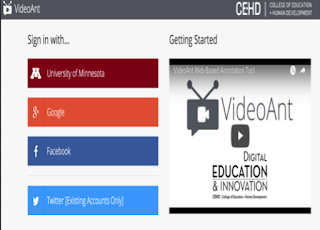 It also has a feature that supports integrating videos in your forms. 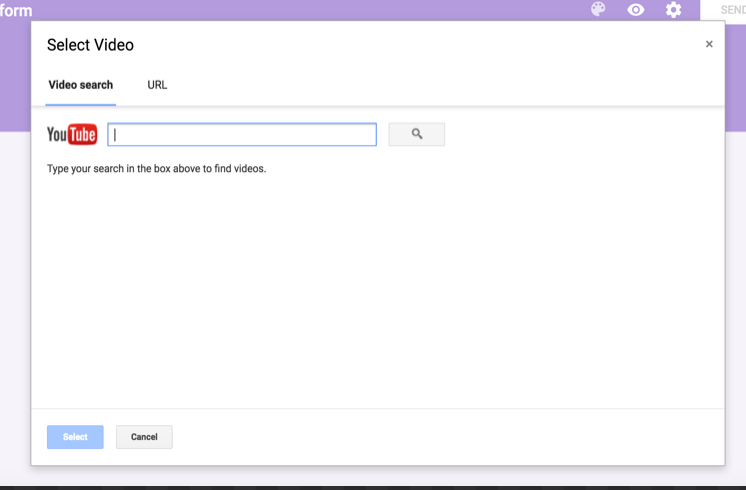 Click on the 'add video' button in the floating bar on the right hand side and paste the URL of your YouTube video or type in a query to search for a video. 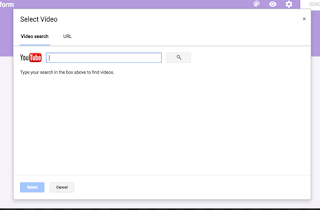 But if you want to create a video quiz around a video that is not on YouTube then you better check the other options below.